As I walked around the last day of the show in Glass Craft and Bead Expo show in Las Vegas a few weeks ago I was so excited to see all of the toys us glass folk love to play with. One of those fun booths with all kinds of cool tools was the Gryphon Corporation booth. 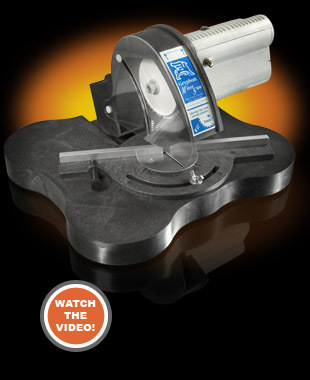 They sell grinders and saws and other great tools to help shape and make your glass that much better. Do you need a grinder? How about a miter saw? A belt sander? A ring saw? They have these and many more. Check it out! We at Anythinginstaineglass feel that stained glass tools play a very important role in the making of exciting stained glass products.